Allen McGee is an author, fly designer, photographer, and fly angler who's been fly fishing for nearly twenty-five years. He specializes in both traditional and progressive soft-hackle flies and fishing methods. Allen is interested in innovative fly patterns and designs flies for Solitude Fly Company. 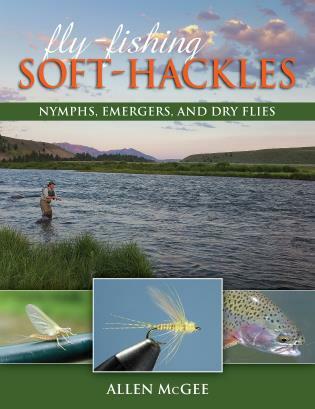 He is the author of Tying & Fishing Soft-Hackled Nymphs (978-1-57188-403-9), and his articles and photography have appeared in many popular fly-fishing magazines. Allen lives in Atlanta, Georgia, and fishes extensively on the trout streams of southern Appalachia, throughout the East Coast and also frequents the Rocky Mountain West on a regular basis. Allen can be found presenting and demonstration tying at many fly-fishing events and clubs throughout the year.